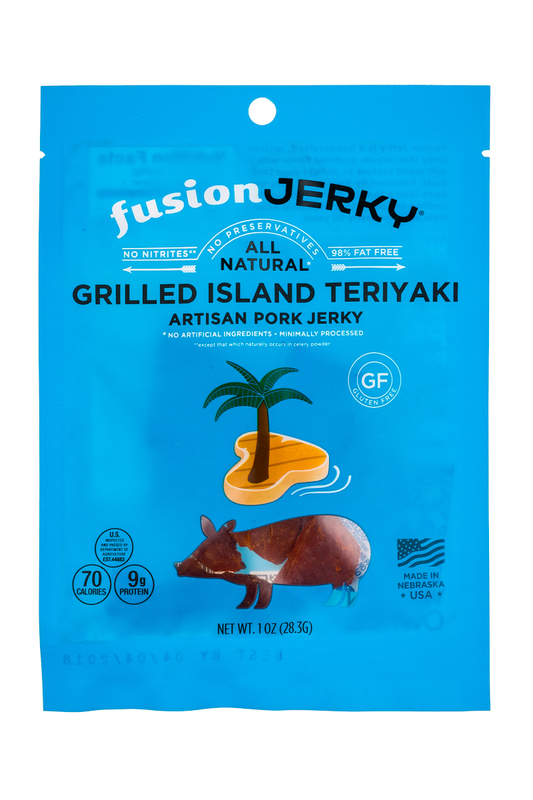 Fusion Jerky an all natural gourmet jerky blending the tenderness of Asian-style jerky and the flavors found in American-style jerky. 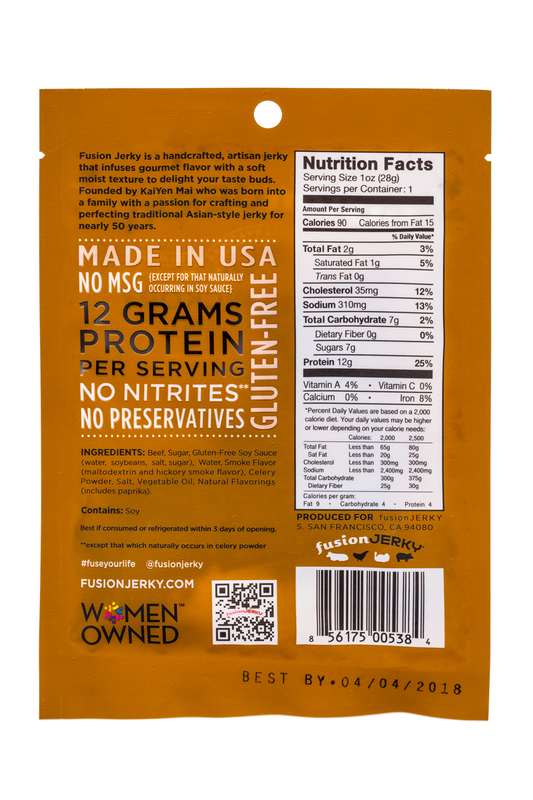 Fusion Jerky is the first jerky line to feature chicken as well as beef, turkey, and pork with a total of eight flavors. 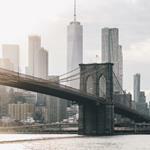 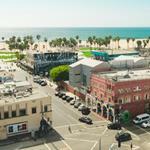 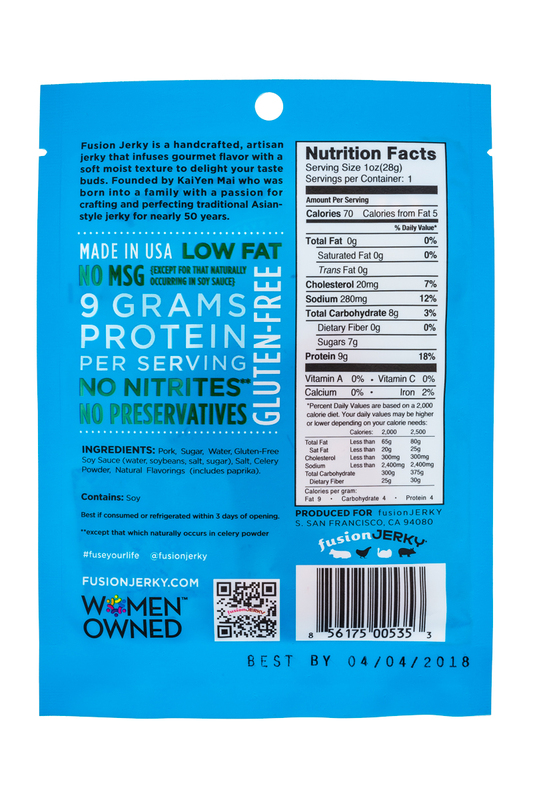 Made using only US raised animals, Fusion Jerky is low in fat and sodium, high in protein, and free of gluten, preservatives, MSG, and nitrites. 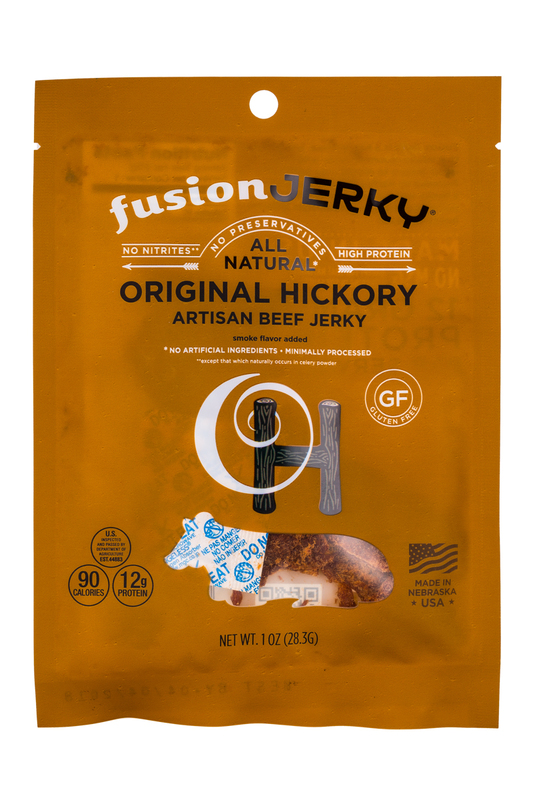 These healthy snacks are processed at our state-of-the-art “Fusion Ranch” in Scottsbluff, Nebraska.